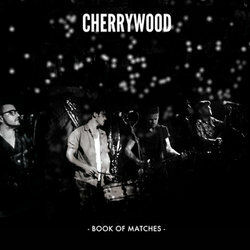 Book of Matches proves an earnest portrayal of the band’s live show – full of raw energy, fast paced and explosive sing-alongs, including those of guests’ Graveyard Train’s Josh Crawley and Harmony’s Erica Dunn, who add further texture to several songs with slide guitar and backing vocals. Catchy and immediate, Book of Matches shouts the listener a drink and dances them around the room. Could Wash No Devil From My Bones sees Cherrywood visiting tales of those unfortunate, wretched souls from colonial-era Australia. Equal parts confessional and irreverence, 'Wash No Devil' is backed by an upbeat bluegrass shuffle and roughhewn four-piece harmonies. Content Provider Love & Theft Recording Co.